Thanks To: | Allah SWT | Kedua Orang Tua | My Lovely | SMK An-Nurmaniyah | Om Google (Om Kita Semua) | Cyber4rt |ibu srilie | psh-dki | and you !!! Home » hal yang tidak di ketahui di windows xp , windows xp » flat dropdown tutorial! Recently, the new Flat Accented Dropdown Menu was released. 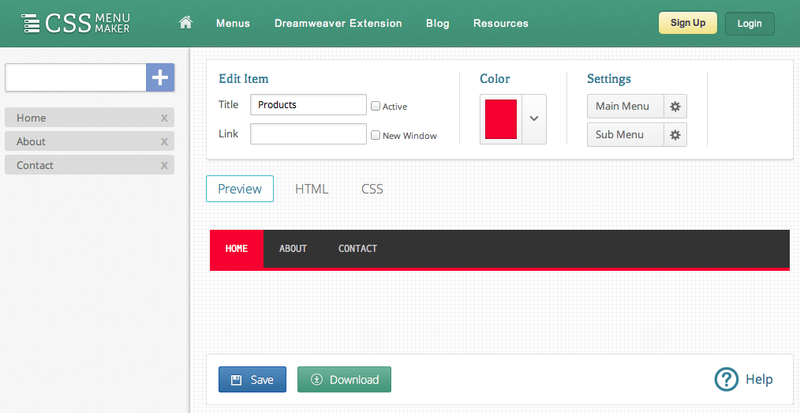 As a nice followup, we'll be explaining its creation process in this flat dropdown tutorial! We contain everything within a div with the id of "cssmenu". Inside, we find our list of menu items, one of which contain its own list, which in turn contains a final 3rd level item. You'll notice that the menus with submenus have a .has-sub class, which lets us target these for some extra CSS goodies. We also have a .active class for use when you have a certain page that should keep that specific item highlighted in some way (usually resembling the hover state). Our first line here simply sets our character encoding to the lovely UTF-8 (so we can basically use any character we want in the file). Our second line adds the great Oxygen Mono font from Google's free web font service. Everything that follows is just the rough template for a horizontal dropdown. Resets, positioning, and a couple other extras are most of what you see. With everything thus far, you have a totally plain but functional drop down menu. Now, this is the Flat Dropdown Tutorial, not the "ugly functional dropdown tutorial", so it's time to give our dropdown the proper look. Flat design is generally minimalistic in nature, and in the case of our dropdown, makes for super simple color application. First thing's first. we set up some general background colors, add the accent border, and adjust our font to our menu. The 2nd rule is simply a fix for IE7 which isn't too happy about the floats we use. The 3rd rule is a clearfix, which is just another CSS trick we use when dealing with floats. We only have 4 rules here, so let's go through each one. The first is in charge of setting the hover/active states for the menu items. The 2nd adds the "+" sign for the top level menu; which instead of being aligned to the right of the menu, simply is added to the label on the menu itself. The 3rd and 4th rule add a new .last class, which can be used on the last item in a menu to reverse the display of the submenu. If you were to have a long menu expanding all the way to the right of the screen, but had a submenu, it would most likely cutoff, since the submenus are meant to expand to their right. This will reverse that behavior, and flip the submenus expansion to the left. With all this CSS together, we have completed our Flat Dropdown Tutorial, and you have effectively created ourFlat Accented Dropdown Menu!